Having the opportunity to hear about the Clinical Research industry can be very impactful for those who know little about it, and viewed to be time well spent in the eyes of the Javara team. Clinical research is a unique field that is vital to the delivery of safe and effective medicines to our pharmacy shelves. Yet, not an industry many understand – so youth education for clinical research innovation is key to progress and growth. Our team recently hosted students from Summit School, an independent K-9 school located in Winston-Salem, NC, who were interested in learning more about what we do and why clinical research is so important. 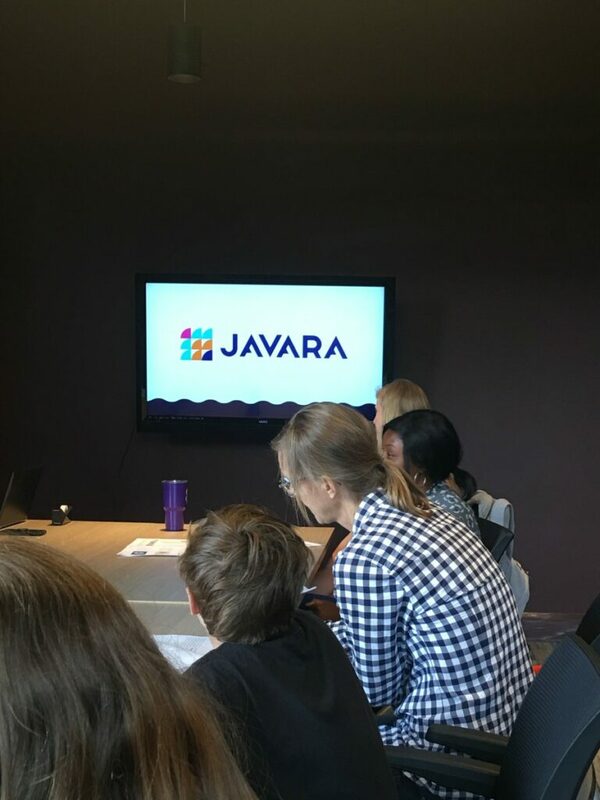 In our time with the students, the Javara team offered an introduction to clinical research conduct, conveying a passion for advancing medicine and addressing the unmet needs of patients through clinical trials. We introduced the campers to the drug development process, highlighting the time and effort required to get medicines to pharmacy shelves. Using CISCRP’s MT Pharmacy video, we discussed the importance of clinical trials and the reality of medicine without clinical research. Marketed medicines would not be available without the help of thousands of clinical research participants who volunteer to participate, making it all possible. While our role with this engagement was to educate the students on the importance of clinical research, it was also important to convey the opportunities and challenges in the business of research. One of our industry’s greatest limitations is the identification and accrual of trial participants, noting the difficulties in finding people willing to participate in studies due to a large percentage of the public being misinformed or uninformed. Worldwide, there are 58 million volunteers needed for clinical trials, while current data indicates there are only 2 million people who choose to participate. Representing a major gap to be filled, and need for expanded education and awareness for the purpose of clinical research. Clinical research not only serves the needs of drug development but serves to provide an additional care option for patients. Students indicated they had not considered clinical research as a care option but recognized the opportunity and importance for those with unmet needs. Serving to be a prime example of how conversations lead to education and education leads to a chain reaction that produces more informed healthcare consumers. …conversations lead to education and education leads to a chain reaction that produces more informed healthcare consumers. These students now have an opportunity to be part of major life-changing developments in medicine, even at such a young age, whether as a participant or advocate. As you might expect, some of these students were definitive about their professional aspirations while others remain undecided, yet they all learned there is a place for clinical research across a variety of disciplines. Whether their interests were in medicine, marine biology or technology, their awareness of clinical research and its importance can play a significant role. Our team was inspired by our friends at Summit School and our time together serves as an important reminder that you are never too young to be an innovator and contributor to society. As the leaders of today, we have a responsibility to engage and inspire young minds to take action and positively influence the future. ho knows, maybe our time with these students will lead them to be future clinical researchers.